These are the four areas of Full Spectrum Wealth. Over the next 365 days, your life will change in each of these areas. The question is, will you love the changes and the results? If you are ready to create true Full Spectrum Wealth, the support of a coach will help you get there. Maximum Sales Power coaches start by clarifying what it would mean for you to have abundance in each of these four areas. Are you someone who considers a lack of pain and symptoms to be a sign of health? If so, you are missing out on your true potential. Even further into the health & well-being spectrum is another whole realm of possibility where you feel good in your own skin, have stronger self esteem, and enjoy quickness of mind, alertness, strength, and stamina. Would you love vibrant health? This is what having Health & Well-being Wealth really means. How do you interact with your family, significant others, friends, co-workers, your faith, yourself? Experiencing Relationship Wealth means creating more significance in each of your relationships. Do you long for a close, intimate relationship? Are you looking for more fun in your connections? Have you been wanting to reconnect with friends on a deeper level? Having abundance in relationships does not mean you have countless people in your life; it means that the relationships you nurture are deep and meaningful. Your career. Your creative expression. Your work in the world. How do you express you? Having Vocation Wealth means doing what you love to do, and having the creative freedom and talents to get it done. It’s about taking your career to the next level— remodeling, reshaping and expanding what you put out into the world in a way that is uniquely you. True abundance in your vocation is finding out what makes your heart sing and doing it, even bigger. Are you ready to move freely and fully in the material realm? 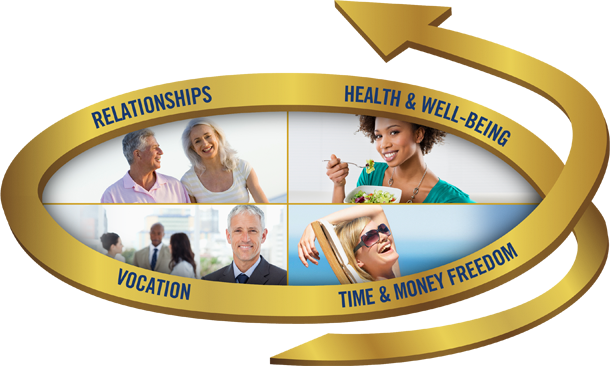 With Time & Money Freedom Wealth you are able to have what you want to have and go where you want to go. You have the resources to do what you love to do, and enough time in the day to choose what you want to do next. Time and Money-Freedom puts you in the driver’s seat as you extend your presence in the world.